airless tires has been an idea auto and tire makers have been toying around for quite sometime now, and have since used on vehicles like the Polaris Sportsman WV850 H.O. ATV in recent time, though no road-going car have actually use them. we suspect it might be a matter of time before they become a norm. but why airless when compressed air have served us this well so far? 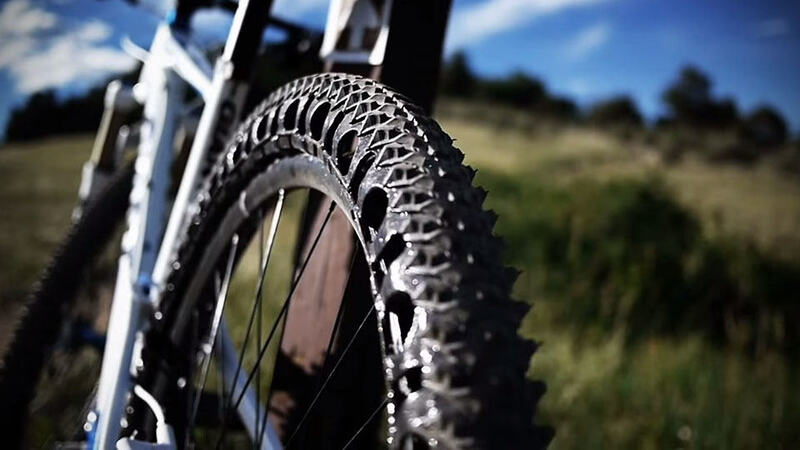 well, to understand the benefit of airless tires, first you must understand why air is used to begin with. air is compressible and therefore it provides added traction on top of the tire’s threads, as well as providing a ‘cushioning’ effect in addition to the vehicle’s suspension system. 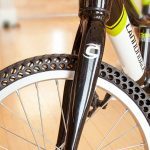 though automobiles may not be using them anytime soon, but this airless technology is now seeing application on bicycles. most bicycle does not have the luxury of suspension to cope with the undulating grounds, which makes air even the more important. 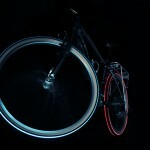 however, Britek intends to break that norm and give you flat-free airless tires, known as the Energy Return Wheel. as spelled out in the products name, ERW is not only airless, but is also helps to propel the ride by returning the energy as it cruises over the terrain. it has two layers of rubber: one in the middle, stretched and held in place by adjustable rods, and the other around the outside. 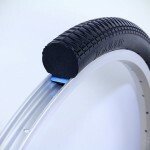 sandwiched between the middle and outer rubbers is a series of elastic cushions, and together with the said rubbers, allows the tire to achieve better compression. in addition, this design will also return the compressed energy, turning them into forward momentum. 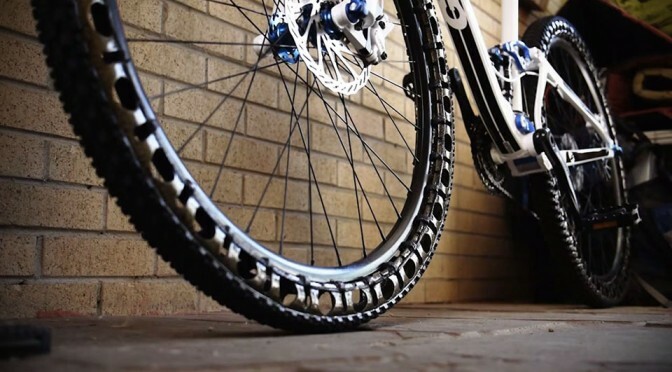 so in another words, with the Energy Return Wheel Airless Bicycle Tires, the wheels are also the suspension of your ride and you will never have to worry about punctured tires, ever. 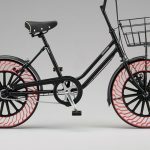 honestly, we are a little confused by the company’s website, but if we are reading it right, this next evolution of wheels is available for purchase for a cool $625 and up, and they are customizable to weight and the intended application. scroll down for video of the Energy Return Wheel in action.